Adobe Experience Manager (AEM) is a complete web content management system (WCMS), which allows clients to export content for translation and import back in through its interface. In AEM, when users start the translation process, a copy of the root of the content to be translated is created in the target language root, which will be updated after the translation process has finished. Users can also add more content to be translated or update a specific group of assets that were previously translated. Additionally, users can work on content without creating a translation project, but for this blog, we will focus on the creation and workflow of translation projects. 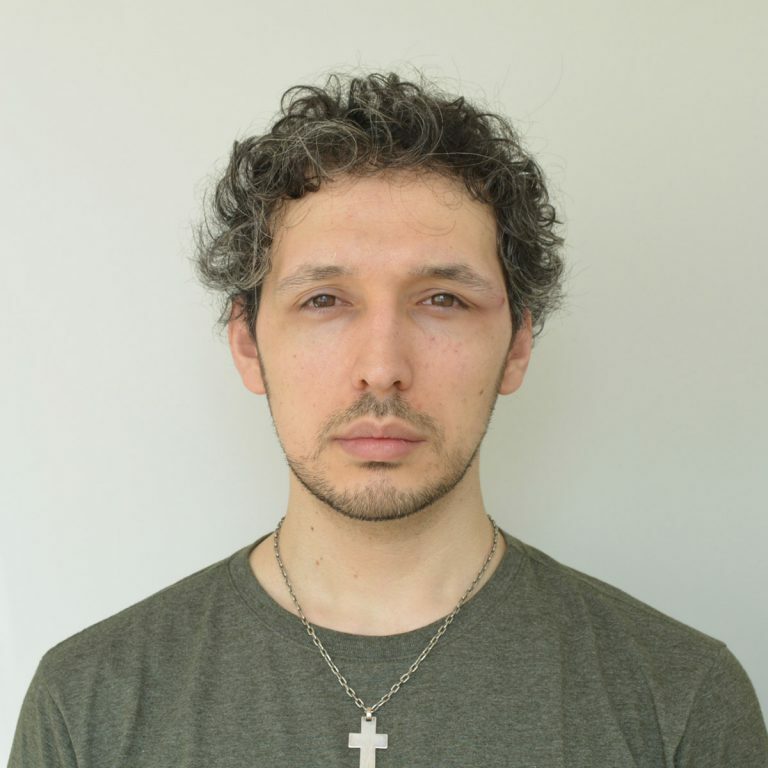 Create a new translation project. Add to an existing translation project. 1. In the Assets UI, select the source folder for which you want to create a language copy. 2. Open the References panel and click Language Copies under Copies. 3. Click Create & Translate at the bottom. 4. 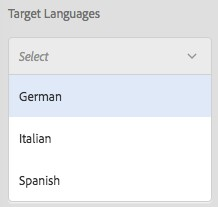 From the Target Languages list, select the language(s) for which you want to create a folder structure. i. Select Create a new translation project. ii. In the Project Title field enter a title for the project. iii. Click Create. 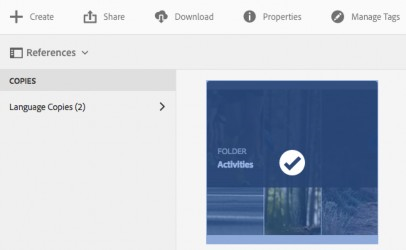 Assets from the source folder are copied to the target folders for the locales you selected in step 4.
b. 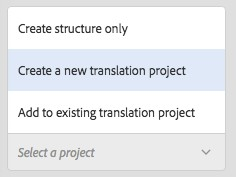 If you are adding assets to a previously created translation project, select Add to existing translation project, then select the project where you need to add those assets. 6. 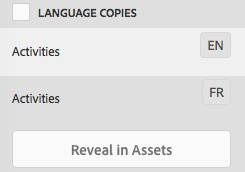 To navigate to the folder, select the language copy and click Reveal in Assets. 7. Navigate to the Projects console. The translation folder is copied to the Projects console. 8. Open the folder to view the translation project. 9. Click the project to open the details page. 10. To view the status of the translation job, click the ellipsis at the bottom of the Translation Job tile. 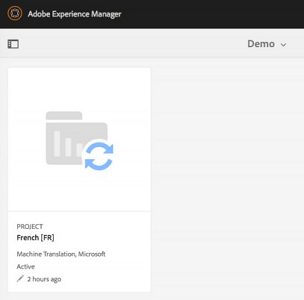 When you want to translate content with a translation provider that is not integrated with an AEM connector, export the translations by clicking the Export button under the drop-down menu in the Translation Job tile from the Translation Project. There can be many Translation Jobs for the same Translation Project. You can import translated content that is sent by a translation provider but is not integrated with AEM via a connector. To do this, import the file by clicking on the Import button under the drop-down menu in the Translation Job tile from the Translation Project.